Depth: 1/4" Thin about 1-2 weeks after germination. Starting Indoors: Start in containers 4-6 weeks before last spring frost. Keep at 55-70°F. Retain moisture by covering with plastic until germination occurs. 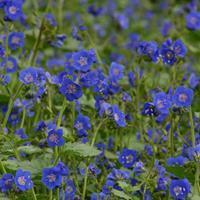 Starting Outdoors: Recommended: Direct sow in early to mid-spring, just before the last frost, or late autumn; early autumn in mild winter areas (zones 8-10). Diseases & Pests: Very occasionally bothered by powdery mildew—prevent by growing in a location that has good air circulation. If mildew is detected, treat with an organic fungicide, such as copper or neem oil. Snails and slugs may eat young seedlings; if such pests are present, treat the surrounding soil with iron phosphate pellets. 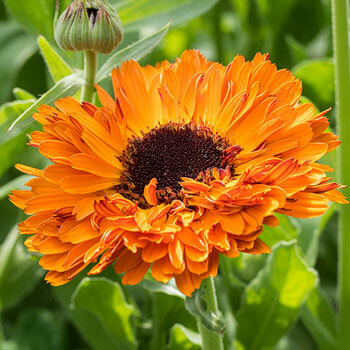 Flowering: Bright red flowers turning slightly orange-yellow towards the center can reach 3-4" wide. Deadhead regularly. May self-sow.